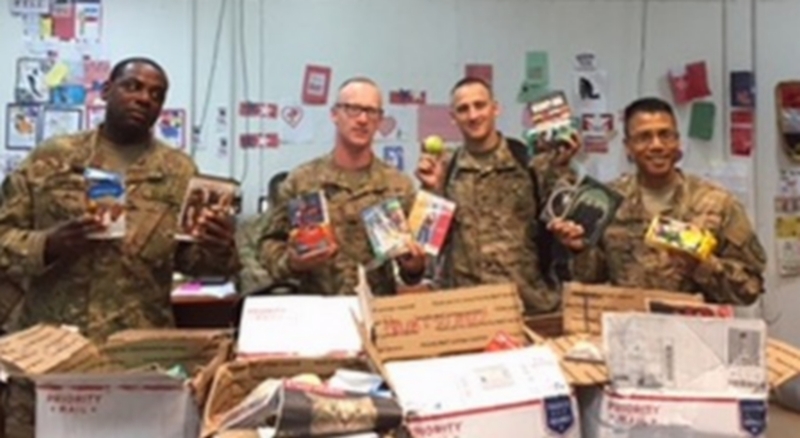 Care Packages for Soldiers: Photos from Army Soldiers in Iraq With Boxes of Girl Scout Cookies. 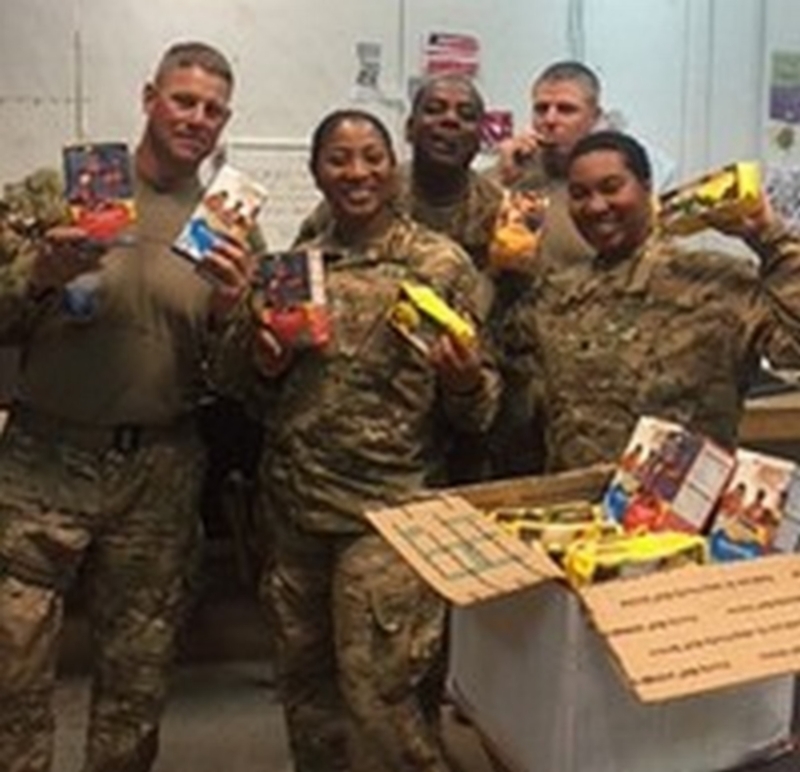 Photos from Army Soldiers in Iraq With Boxes of Girl Scout Cookies. We received these three photos from some Army Soldiers in Iraq 300th Sustainment Brigade with the boxes containing the Girl Scout cookies we sent at the beginning of April. As you can see, they are very exited to get a little taste of home. 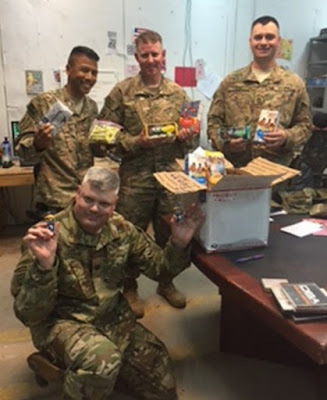 Happy soldiers showing off a care package containing Girl Scout cookies. How long will it take for all these cookies to be eaten? ?